Nelke & The Legendary Alchemists is the next new release for the long-running, and dearly beloved Atelier franchise. We knew it was coming out in January in Japan, and now we have the global release date to share! The game releases just a few months later, on March 26 in North America and March 29, for Nintendo Switch, PlayStation 4 and PC. Unfortunately there won't be a Vita release of the game in the west (though there is in Japan). That's not surprising, of course, but disappointing for those who still prefer to play their games on the little handheld that could. If you're into collector's editions, Nelke has one you'll probably want to look at. It's available exclusively through NIS America's online store, and includes a hardcover art book, the soundtrack, a deluxe cloth poster, and an acrylic standee featuring the main character Nelke. That's pretty good look right there. For those that haven't been following so closely, Nelke is an "all stars" game of sorts. 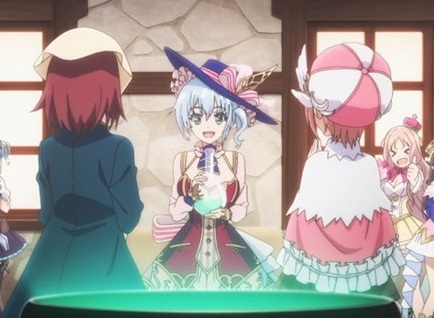 Nelke, the protagonist, is tasked with building up a city, and to help her do that, favourite faces from the entire Atelier series to date will drop in. Yes. Including Meruru, who we all know is the best girl of all <3.